ClimaLite short with a soft, lightweight fabric for superior moisture management. 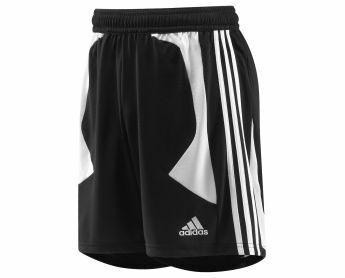 Adidas Performance logo on left thigh. Applied three stripes with clima inserts. Who says you can't win every ball? This short's ClimaCool? fabric sweeps sweat away from your skin as easily as you sweep the match. This product was added to our catalog on Monday 16 July, 2007.